Two years ago, I would not believe it if you told me that I would be living in Paris with a French family, speaking only French, drinking wine by the Eiffel Tower, meeting people from all over the world, and traveling all across Europe. Sure enough, here I am, doing all of those things. I have traveled to Zurich, Geneva, Munich, and for fall break I will be traveling to Zagreb, Split, Hvar (island off of the coast of Croatia), and Italian cities along the Adriatic. Zurich and Geneva were absolutely stunning but the craziest experience I had was when I traveled to Munich for Oktoberfest. It was a once in a lifetime experience that I will absolutely never forget. Despite all of the fun I’ve had in the past couple months, it wasn’t very much fun in the beginning. Prior to Paris, I was a horrible French student and didn’t know anyone who was studying in the city. For the first week I had to meet new friends, try different food, research what to do for night life, figure out the metro, and attempt to communicate with my family. 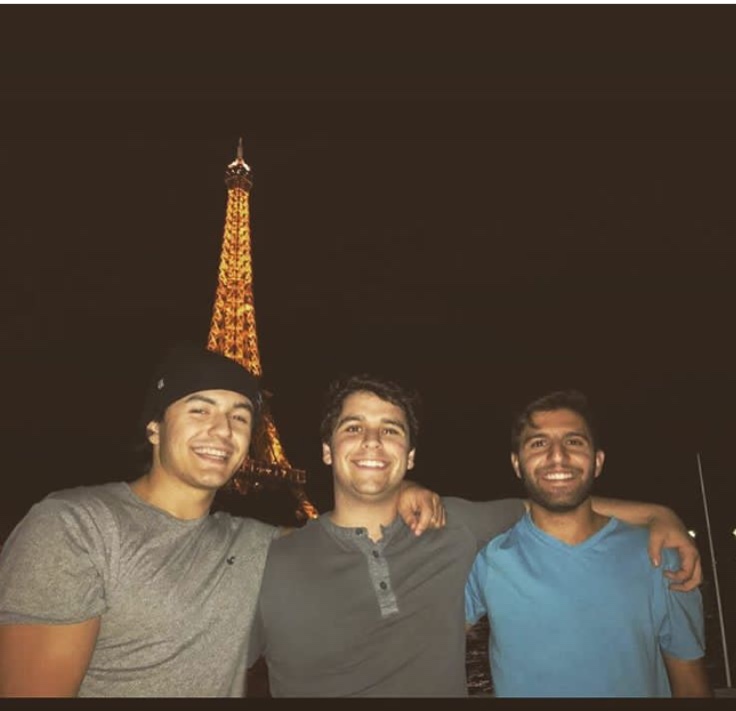 The most difficult part was communicating with my family for the first week because they spoke no English and made it clear that they wanted me to speak French. This turned out to be very good for me. When you don’t have any other options but to speak the native language, you learn much faster than you expect. Along with learning the French language, I learned a lot about Paris that I hadn’t known before. For instance, the cool thing to do at night is to get a group of people, buy some wine and chill on the Seine (the river that runs through Paris). Most people make the mistake of going to the Louvre in the day and paying 30 euros for a ticket when you can go for free on Thursday nights. When you go to a restaurant you need to ask for a “Carav D’eau” otherwise you’ll get charged for water! Also, the Parisians aren’t all that mean. They’re actually really nice if you don’t act like a stereotypical loud/aggressive American. It’s a very challenging experience studying abroad. You’re no longer a tourist or a through back packer. You’re there long after the tourists leave and you become a part of the city. You’ll make a dozen mistakes along the way but it’s those mistakes that mold you into a stronger and more mature person. Personally, I think everyone should study abroad. It’s certainly not the cheapest option but it should not be considered as an expense. Consider it as an investment on your future.